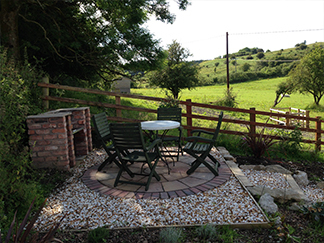 Holiday Cottage in Flintshire – beautiful two bedroomed cottage on our farm overlooking the hills and the horse paddocks. Both rooms have an en suite bathroom/shower room. 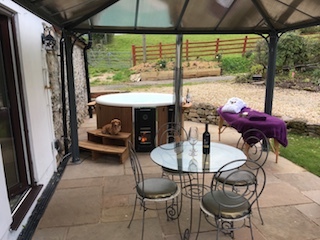 Patio at the back with barbecue, a wood burning hot tub (bath robes available, £20.00 deposit required). 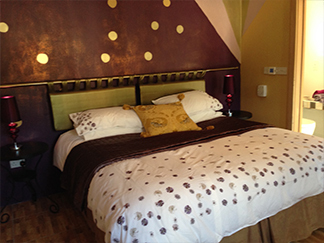 The rooms can have either twin or double beds. Please let us know which option you’d like when you book. Each room has its own wet room and TV. 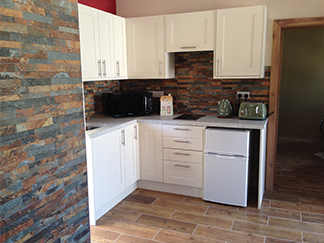 Fully appointed kitchen /lounge with wood burning fire. Free Wifi. 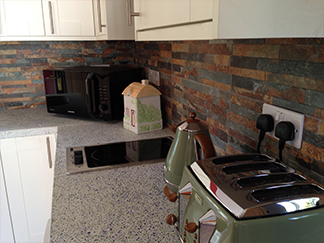 Underfloor heating throughout. 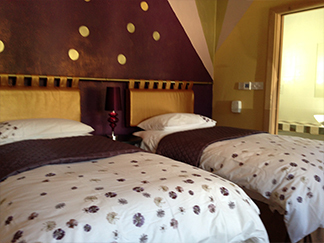 Comfortably sleeps 4 adults but there is a possibility of an extra single bed in the purple bedroom for a child. 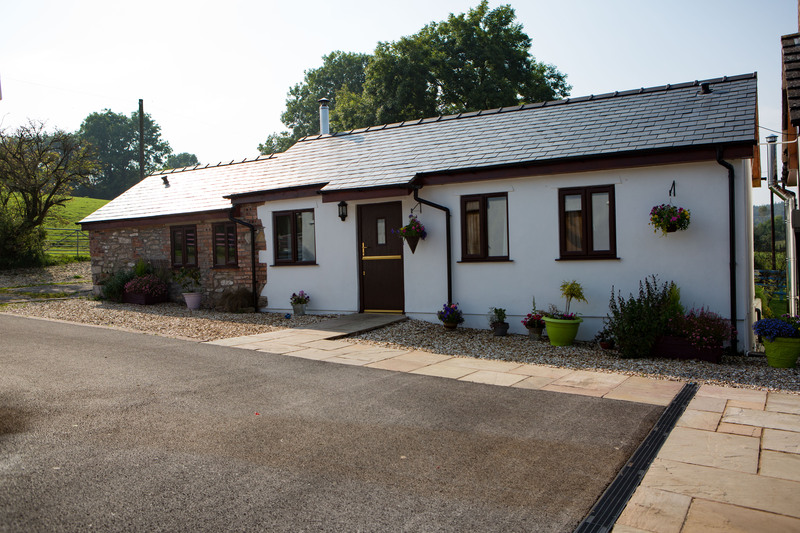 During the busy period of July and August we offer long weekends (Friday-Monday), midweek breaks (Monday-Friday) or weekly stays, at all other times the minimum stay is two nights.